JavaMuseum has a multi-facetted image. As a media art project by Wilfried Agricola de Cologne, it is a virtual museum for virtual art, creating a virtual image on different levels. At the same time, it is part of the multi-dimensional virtual sculpture – Le Musee di-visioniste – the museum of networked art. 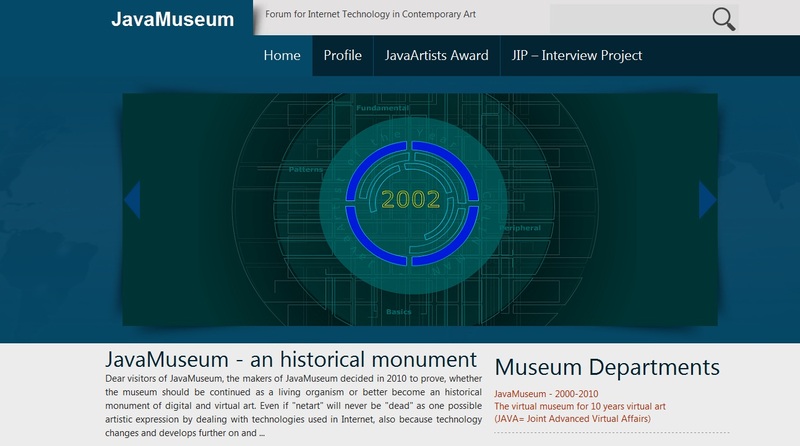 JavaMuseum is representing one of the nummerous networks interacting in the museum project.